Unrequited bot love; new drones rules; Jibo raises $13m; artificial skin for robots; cobots lend a helping arm; Japan’s 1st robot bus trial; plant-bot hybrids and much more. Find out what’s happening in our robotics universe this week. We hope that the news we have selected will interest and amuse you. Enjoy! The White House Office of Information and Regulatory Affairs received the FAA’s proposed rulemaking for small UAS flights over people, Monday last. drone360 reports: “The FAA says it expects to publish the proposed rule — officially called “Operations of Small Unmanned Aircraft Over People” — by the end of this year. There is no legal deadline for when a decision must be made regarding this proposed rule. In other drone news, Popular Science ran a piece about the Panther drone developed by Advanced Tactics, which can be used on land and in the air. The versatile robot can carry a payload of 15 lbs and can travel almost 60 miles over land. Advanced Tactics first tested a version of the Panther in 2012, and last week released a video of the new, commercial model driving and flying as part of a presale promotion. The Panther is an interesting, novel drone design, but it’s also a test case for Advanced Tactics far more interesting vehicle: the larger, human-carrying Black Knight Transformer. With a similar wheels-and-rotors configuration, the Transformer was floated in 2014 as a possible medical evacuation vehicle for the military. For now, Advanced Tactics appears to focus on the Panther. If the little drone takes off, maybe someday the larger, drone-inspired flying truck will, too. Elsewhere, Facebook hit 20Gbps in testing for internet drone data transmission and AT&T announced a collaboration with NASA on the development of traffic management solutions for unmanned aircraft systems. The goal is an Unmanned Aircraft System Traffic Management solution that supports the safe and highly secure operation of drones in the national airspace. Jibo, the Boston-based startup that is developing a social robot with the same name, has raised another $13.1 million from investors. According to a Form D filed with the Securities and Exchange Commission, Jibo is looking to raise a total of $28 million. The firm is now estimated to have raised some USD65.4 million in five Rounds from 13 investors. Experts at Georgia Tech have developed an artificial skin prototype that could be used to give robots the ability to identify different materials by touch. 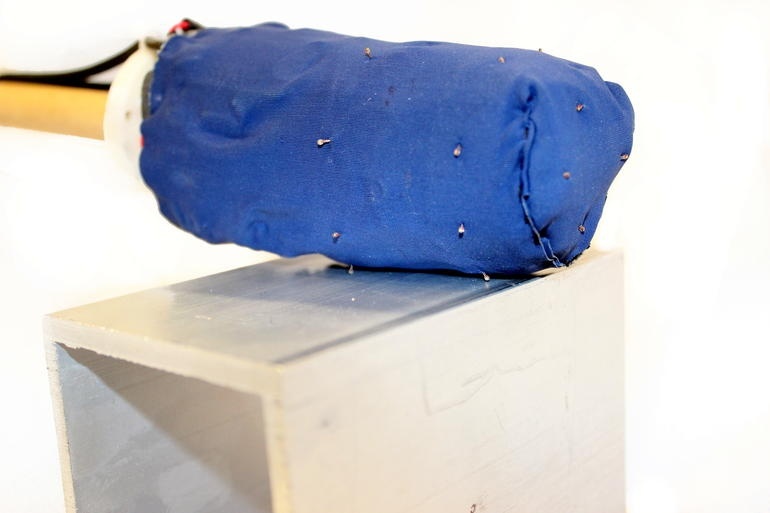 The fabric (or ‘skin’) comes with both thermal sensors and force sensors that allow the robot to tell the difference between metal and wood, much in the same way human skin uses thermal sensitivity to detect the type of surface it is contact with. For example, if you touched two samples of metal and wood that were the same temperature, the metal would feel colder because it has high thermal conductivity, so it quickly absorbs your hand’s heat. The warm artificial skin used similar thermal sensing to correctly distinguish pine (wood) from aluminum (metal). This ability could help robots manipulate objects and understand their environment, which would make them safer and more useful in unstructured environments. In a robot’s eyes, even the neatest, cleanest homes are messy and overwhelming. Then when you add people — fragile, unpredictable humans — to the mix, any basic task becomes even more challenging. 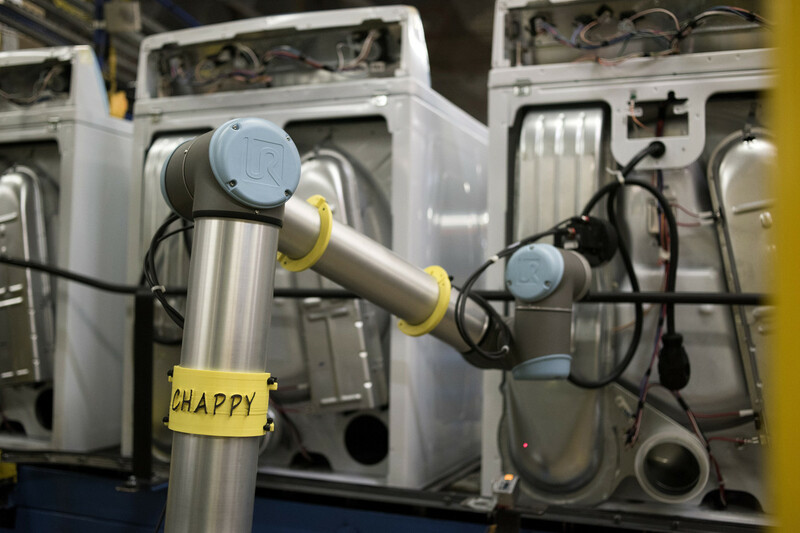 Great long feature from Wall Street Journal about how manufacturers like Whirlpool, GM and Boeing are using cobots to reshape their plant floors. “Collaborative robots stack spare tires and apply hot glue inside Chevrolet Sonics and Buick Veranos at the General Motors Co. plant in Lake Orion, Mich. They help install doors and windshields at BMW AG ’s plant in Spartanburg, S.C. They smooth riveted parts on 787 jets at a Boeing Co. factory in Australia and may do so soon at a plant in Charleston, S.C.
Economists attribute a long-term decline in U.S. factory jobs in part to automation, but manufacturing executives say the latest automation trend isn’t intended to cut head count. Rather, it is aimed at improving safety and increasing productivity. Japan’s Akita Prefecture has successfully tested a driverless bus with passengers on board, in the country’s first public road test of an automated bus. 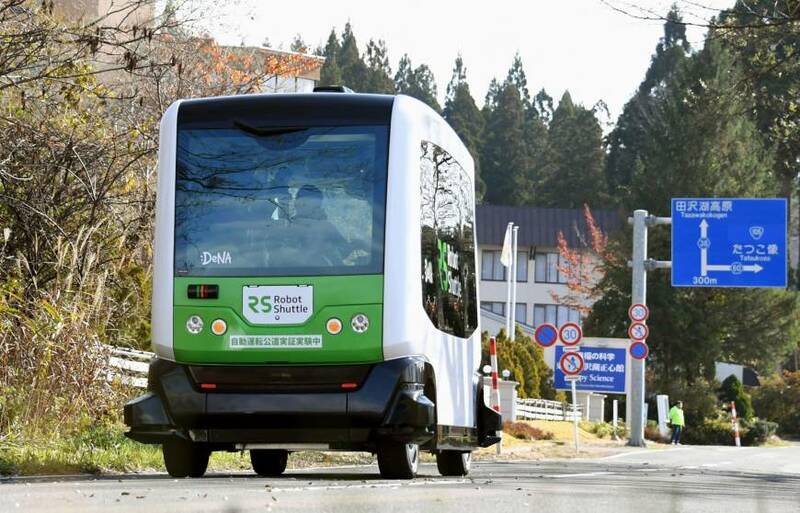 The electric Robot Shuttle went back and forth Sunday on a closed-off 400-meter section of prefectural road along Lake Tazawa at speeds of around 10 kph. The bus, which carries 12, had six people on board, The Japan Times reported. “As the ride was smooth and quiet, I thought I could enjoy chatting with a friend in the bus,” said Seiko Fujimura, a 77-year-old resident of Senboku, a state-designated special zone for regional revitalization. “The bus gave me a more comfortable ride than the car driven by my father,” joked Rikuto Tomishima, an 8-year-old boy from the city. A new study about consumer attitudes towards automation involving slightly more than 2,000 people over a 3-week period was released this week. The study’s findings indicate that many people have conflicting feelings about our rapidly changing world. “It appears consumers are very excited about what happens in the future but very nervous about how it will come to be,” said Dan Clay, Senior Associate at Lippincott. Joe Jones, creator of the world-famous Roomba vacuum-cleaning robot, is working on a robot dubbed “The Tertill” designed to weed flower and vegetable gardens. The Tertill, which has been prototyped and is scheduled to launch in summer 2017 for $250, operates autonomously by using solar power, sensors to identify obstacles, and a string trimmer to cut weeds. Jones hopes later versions of it will appeal to organic farmers who want to weed their crops without using herbicide. 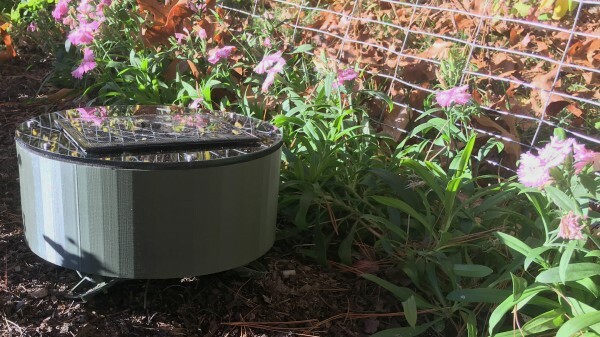 By the time the Tertill goes on sale—likely via a crowdfunding campaign—the robot will have two more garden-related capabilities. It will wirelessly transmit data about plant and soil health to owners’ smartphones, so they can improve their gardens, and it will repel foraging animals such as rabbits and squirrels by moving and making noise when they approach. 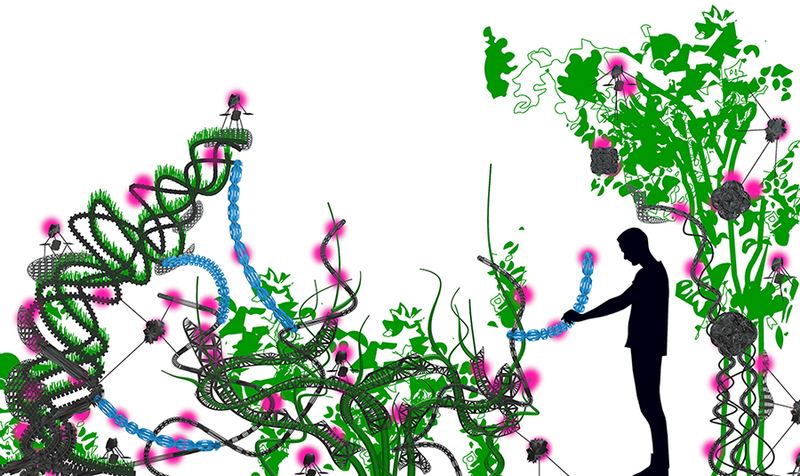 IEEE Spectrum ran a fascinating long feature about Flora Robotica, this week. What the European researchers want to do is basically using robots to provide support and guidance to plants, so those plants will be healthier and more robust, and they’ll also be somewhat trainable: They’ll react to the stimuli coming from the robots, allowing you to incorporate them into living, hybrid structures like benches, walls, and roofs. If you’re reading this blog post, you probably love robots. Well soon, robots may be able to love you back sort of. As Quartz reported this week, Hooman Samani, a director of the Artificial Intelligence and Robotics Technology Laboratory at National Taipei University, Taiwan, has developed a system that can allows robots to respond emotionally to how humans treat it. The hardware isn’t exactly thrilling; what’s unique about this machine is its very peculiar kind of artificial intelligence. Samani, along with Elham Saadatian, a human-computer interaction specialist, laid down the underlying AI theory in the paper published back in 2012. 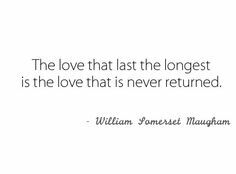 The researchers began by trying to answer the question of how love works from a purely scientific point of view. Their solution: “The internal experience of love can be traced back to our endocrine system,” says Samani. “The way we feel about others is to a significant degree determined by hormones.” So, he fitted his robot with digital hormones. Just think. If this technology takes off, no one will have to write poems about their unrequited love for their Roomba. But could something be lost in the process? Might it not, in fact, be a good thing that our love for robots remain unrequited? One way or the other, we’re going to find out thanks to this intriguing research. Until next week, hope you enjoy these videos and links!